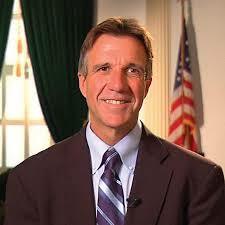 Yesterday VT Governor Phil Scott vetoed SB 22 that would have legalized Marijuana for recreational use. SB 22 passed the Vermont Legislature on May 10th and now appears to be finished at least until the legislature meets in January of 2018. In his blog, the Governor said he has always and continues to support medical marijuana laws and decriminalization but felt key questions and concerns involving public safety and health need to be addressed before moving forward with legalization. Scott wants the state to know how to detect and measure impairment on Vermont’s roadways, fund and implement additional substance abuse prevention education, keep VT’s children safe and penalize those who do not, and measure how legalization impacts the mental health and substance abuse issues Vermont communities are already facing. He also wanted stronger penalties for those selling to minors and on school grounds. Vermont State Police in Westminster seized100 bags of heroin yesterday during a traffic stop on Putney Road. Police discovered the driver Jalil Feitag of Wells River VT was driving with a criminally suspended VT license. During the investigation, police seized 100 bags of heroin that passenger Jeremy Cary concealed on his person. Both men were arrested, Freitag for DLS (Driving License Suspended) Criminal Violation and Cary for felony Possession of Heroin. Both were released on citation and will appear in Windham Criminal Court on July 11th to answer the charges. Governor Chris Sununu will be in Newbury today. The Governor will be addressing the NH Road Agents Association today at the 30th Annual Mountain of Demonstrations at Mount Sunapee Resort.